The FlyLow Vixen is a stylish and comfortable hardshell optimized for in bounds and lift served backcountry skiing. The Vixen 2.1 from FlyLow is a very stylish and comfortable hardshell jacket. It is a little heavier and looser, making it an excellent fit for the ski area, and the occasional lift-served backcountry descent. The features are very thoughtful for use when skiing, with internal pockets to keep phones safe and gloves dry. This jacket does not cross over for climbing purposes, due to a few details like pockets too low to be used if you're wearing a harness or backpack hip belt. But if this jacket suits your ski needs, we think you'll love it, and get lots of compliments. The Vixen is best for skiing, but always comfortable. Notice the zippers fall under the harness here. The Vixen is made of a burly 3-layer waterproof fabric, effectively keeping snow and rain out, as well as blocking wind. This is on the thicker end of jackets in this review, making it more optimal for winter activities, especially skiing. The jacket is longer, has a storm-ready, adjustable, helmet-compatible hood, and cinches at the hood and hem to keep snow out when the powder is deep. If you're looking for the most weatherproof snow-ready jacket, you might like the Mammut Nordwand. For a lighter weight winter-ready shell that would be a better companion in the backcountry, check out the Patagonia Cloud Ridge. Pit vents help you shed heat in a hurry. The Vixen is made with just the right amount of stretch fabric to make it super comfortable and easy to move in. We enjoyed wearing this jacket, as the feel was almost like a sweatshirt, except it's waterproof. This jacket is longer, which keeps the jacket from riding up when you're twisting and turning while skiing or snowboarding. The Vixen is on the thicker side of jackets in this review, making it feel warmer. It is optimized for snow sports like resort skiing and snowboarding, but it will perform well for a few lift-accessed backcountry laps as well by opening the pit vents. For another ski-savvy jacket that breathes a little better, check out the Patagonia Cloud Ridge. Otherwise, we would recommend the impressive all-rounder, the Arc'teryx Beta AR. At 18.5 ounces for a size small, this is one of the heaviest jackets in this review. The Mammut Nordwand, with its powder skirt still zipped in, is only an ounce heavier and is one of the most mountain-savvy jackets we have ever tested. As such, the Vixen does not jump out to us as a backcountry-ready jacket where lightweight is a premium. Instead, this is a great resort hardshell, and it's super comfortable and stylish for that purpose. For a model optimized for backcountry skiing or climbing, we liked the Norrona Trollveggen. And if weight is your top priority, check out either the Arc'teryx Beta SL or the Hybrid version. The Vixen has a great feature set for resort skiing. The helmet compatible storm hood is adjustable in three places, and the bottom hem in two. The internal pockets are optimized to keep your phone dry during a day of skiing at the resort, and the glove drop pocket is always appreciated. It has pit vents and two side hand pockets at a nice angle to warm your hands (but would fall under a harness or hip belt, another clue this jacket is not optimized for the backcountry). There is a spacious external chest pocket, and two internal mesh pockets, a zippered one big enough for a phone and a large one that will hold your gloves and keep them warm and dry. The thumb loop and internal cuff give this jacket an extra cozy feel. The Vixen is made of durable and stretchy three-layer shell material. It is soft to the touch, but a little bit stiffer; it's an excellent balance of qualities in our opinion because a slightly stiffer fabric tends not to snag as easily, thereby improving its durability. For impressive durability, check out any jacket by Arc'teryx, or the Mammut Nordwand. The Vixen is optimized for inbounds skiing and snowboarding. Due to the low pockets, thicker fabric, and heavier weight, this is not the best hardshell for backcountry or all mountain use, but if your uphill efforts are mostly lift-served, this is an excellent, comfortable, durable, and very stylish hardshell jacket. The Vixen is best suited to in-bounds skiing and snowboarding due to its heavier weight and thicker fabric, as well as a feature set optimized for snow sports. At $375, this jacket is a little pricey for the weight and reduced versatility. That said, if in-bounds skiing is your main gig, and you do it a lot, and you like the feel, features, and look of this jacket, we are sure you'll love it and that it will hold up for a whole lot of turns. The FlyLow Vixen 2.1 is optimized for in-bounds skiing and snowboarding with a feature set to match. We found the slightly stretchy material to be very comfortable and soft to the touch so that it almost felt like we were wearing a sweatshirt. What this jacket lacks in versatility it makes up for in style, comfort, and thoughtful and appropriate features. The Vixen is a very stylish and comfortable skiing optimized hardshell. Backcountry $224.97 - 40% off! 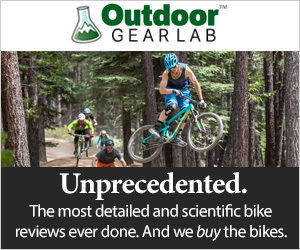 REI $261.93 - 30% off! Amazon $262.50 - 30% off! MooseJaw $280.99 - 25% off!